KANSAS CITY, Kan. — Anyone who knows Jenifer Valenti knows there are three words that describe her well: knowledgeable, transparent and vigilant. And the fact that unites these attributes? Her Catholic faith. Valenti is a prosecuting attorney by trade and has been the ombudsman for the Diocese of Kansas City-St. Joseph since 2011. She has recently been selected to be the new director of the office of child and youth protection for the Archdiocese of Kansas City in Kansas. She is also wholly committed to bringing justice and support to all affected by abuse in the church, she said. So, when the opportunity to take on the role of director of the office of child and youth protection in the archdiocese came up, Valenti wanted in. “I felt like I might be a good fit as somebody who has gathered experience and expertise from working with victims, law enforcement and victim advocacy groups in the children’s divisions,” said Valenti. And she couldn’t have been more correct. And Archbishop Naumann has seen Valenti’s qualifications firsthand. He and Valenti worked together in 2015 during his time as the administrator of the Diocese of Kansas City – St. Joseph. “I could see how conscientious she was about her work, how insightful she was, in the recommendations she brought to me when I was the administrator,” said Archbishop Naumann. 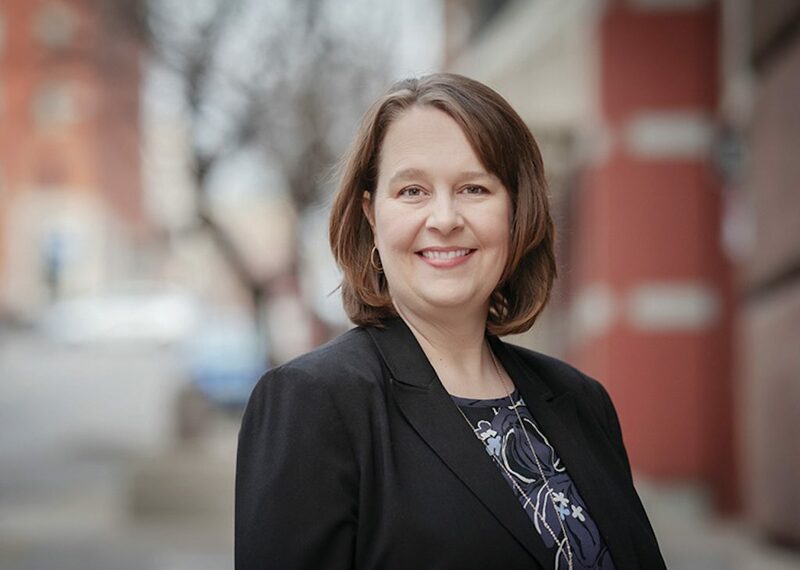 Kathleen Chastain, victim services coordinator in the Diocese of Kansas City-St. Joseph, has worked closely with Valenti for many years and believes her management of cases of abuse and victim support demonstrates those attributes. “Jenifer has a great ability to balance fairness, justice and empathy for individuals,” she said. “There’s the prosecutor side that understands the law and justice and there’s the parent side of her that allows her to put the people at the center of all her activities, be it the perpetrator or the survivor, and their human needs. “She is what I think of as the heart of the church,” she said. Valenti is preceded in her role by Father John Riley, chancellor of the archdiocese, with whom she occasionally worked during her time in the Missouri diocese. Father Riley has worked as the director of the office of child and youth protection for 10 years and is gratified to be passing the torch on to someone as qualified and trustworthy as Valenti. The director also coordinates the meetings of the Independent Review Board (IRB) and prepares case files for board review, although she will not be a member of the IRB. “We were looking for the best- qualified person and I think [Valenti] is it,” said Archbishop Naumann. “I think to have a layperson and, frankly, a laywoman in charge of that office is very helpful. Love of her Catholic faith and empathy for others are what, for Valenti, will make her work protecting and guiding the church possible. And Valenti is looking forward to stepping into her new role.